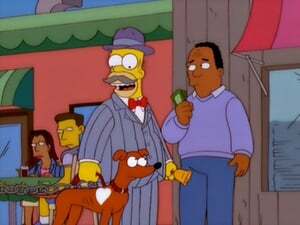 When Homer refuses to pay a five dollar airport tax to fly to Delaware, the family is forced to ride in a livestock car of a train instead. 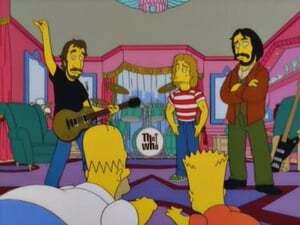 There they meet a singing hobo who tells three tall tales: Homer as Paul Bunyan. 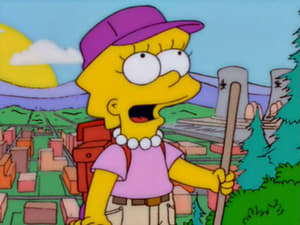 Lisa as Connie Appleseed, a parody of Johnny Appleseed. 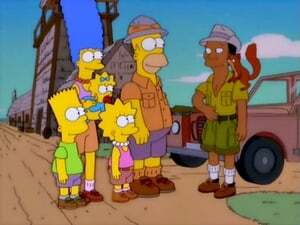 Bart as Tom Sawyer with Nelson as Huckleberry Finn. 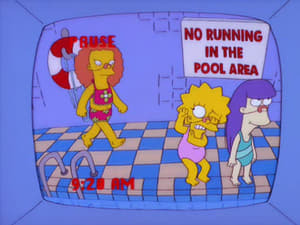 Homer's rush to the hospital to reattach his thumb, Lisa's rush to school to win the science fair, and Bart's run-in with an illegal fireworks scheme are interconnected in a parody of Go and Run Lola Run. 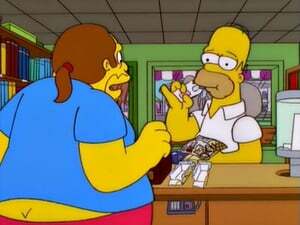 When the Simpsons run out of food thanks to a bag boy strike (caused by Homer), the family finds an old box of animal crackers with a sweepstakes that sends The Simpsons to Africa. 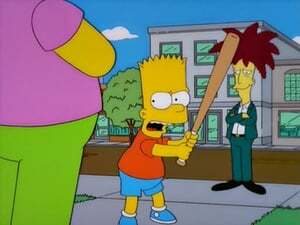 When Lisa becomes the target of a female bully, Lisa discovers a scientific reason as to why bullies pick on nerds. 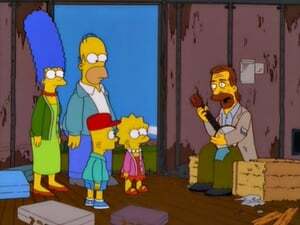 Meanwhile, Homer goes into the baby-proofing business, which is threatening the businesses of pediatricians and greeting card salesmen. While making funeral arrangements for Grampa's future, the funeral planner pitches the idea of a mausoleum that uses the same amount of cement as a full-sized tennis court. 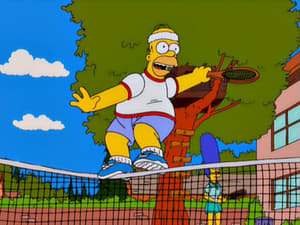 This prompts Homer to instead build a tennis court in his backyard, initially mistaking the sport for "Foxy Boxing". The tennis court makes Marge and Homer popular in town, but it turns out that this is only because Homer's inferior tennis ability makes them an easy target. 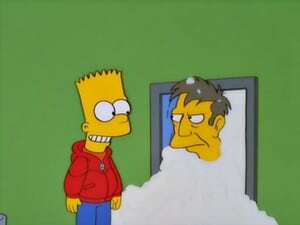 Bart on the other hand, shines as a natural. 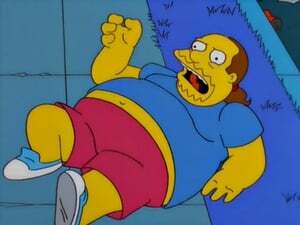 Bart and Milhouse are banned from The Android Dungeon after stopping Comic Book Guy from buying a box of priceless Star Wars memorabilia for $5, but are hired as his replacements when Comic Book Guy has a heart attack and is advised to leave his job in order to make friends. 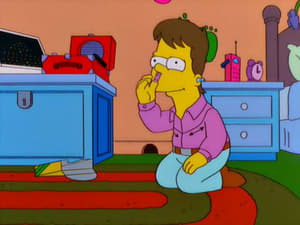 While working as a human guinea pig (to pay off the family's lost savings after making a bad investment), Homer discovers the root cause of his subnormal intelligence: a crayon that was lodged in his brain ever since he was a boy. He decides to have it removed to increase his IQ, but discovers that being smart does not necessarily equal being happy. A snowstorm traps the students of Springfield Elementary inside, with them overthrowing Principal Skinner when he uses his Army skills to control them. 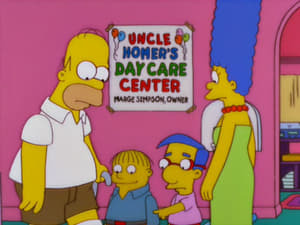 Meanwhile, Homer tries to rescue the children–using Flanders' car. Homer and Bart become father–son con artists (after Bart is given money out of pity when Homer decided to not take him home), but soon find that they are the ones being had. Homer decides to buy a computer after turning up to the Plant to find it closed by e-mail. He then creates his own website and it eventually gains attention when he posts gossip. 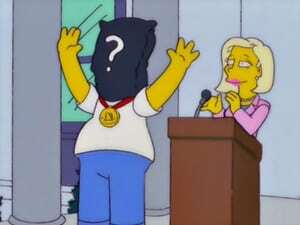 Homer dubs himself as "Mr. X" to conceal his identity. 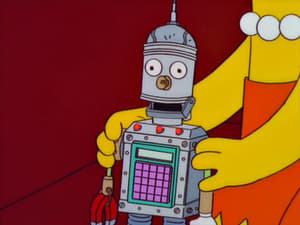 When he reveals that he is Mr. X, he becomes drugged into a mysterious island where people who know too much are imprisoned after Homer starts writing conspiracy theories such as flu shots. 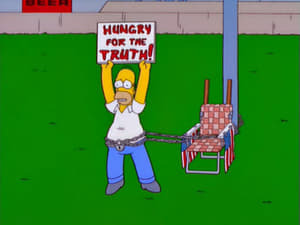 When the Simpsons once again have financial problems, Mr. Burns pays Homer to play pranks on others and humiliate himself in public. 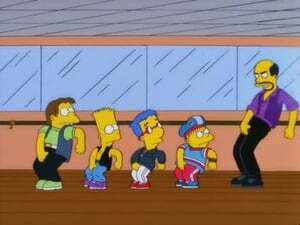 Meanwhile, Smithers creates a Malibu Stacy-themed musical. 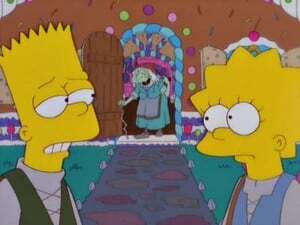 Lisa falls for the teenaged leader of a militant environmentalist group and tries to impress him by living in Springfield's oldest tree in order to keep it from being cut down. 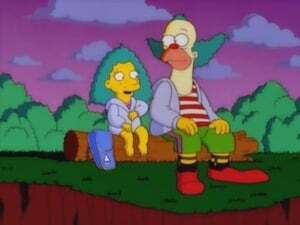 Krusty takes parenting lessons from Homer when, during an outdoor book fair, a girl tells Krusty that she is his long-lost daughter from a one-night stand with a female soldier who fought during the first Gulf War. 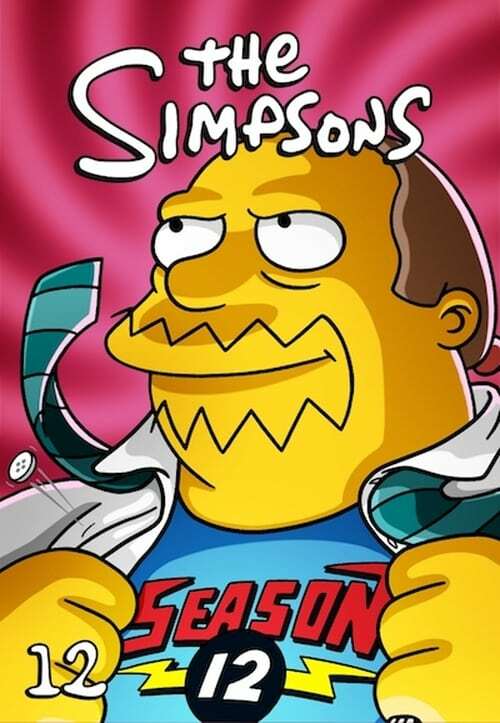 While calling Animal Control over a badger taking residence in Santa's Little Helper's doghouse, Homer discovers that Springfield has two different area codes–and ends up leading a revolt that splits the town in two. 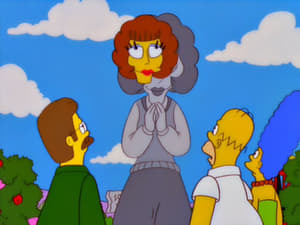 This year's Halloween story sees The Simpsons as "The Munsters" (with everyone except Lisa getting killed), Homer as a wandering spirit on the hunt for a good deed in "G-G-Ghost D-D-Dad," Bart and Lisa as peasants in a fairy tale forest in "Scary Tales Can Come True," and Lisa inadvertently dooming mankind by rescuing a dolphin in "Night of the Dolphin."